ღThis X12 drone is a professional drone for rc fans. Just have a look, you will love it. It looks like Mavic but not that expensive. The altitude hold function, letting you have a better flying experience. 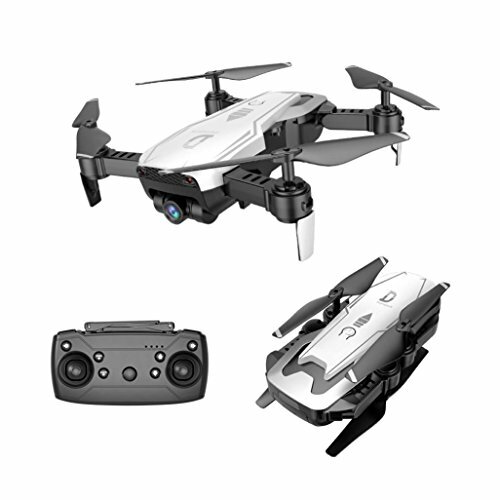 What's more, Wifi FPV real-time image transmission system and 0.3MP camera can bring you with really beautiful and high definition photos and videos. ღThere might be some deviation due to manual measurement. ღThis RC model is not suitable for children under 14 years old, keep it away from children. ღCarefully read the instruction before any use, if you are a beginner, it's advisable to be assisted by an experienced adult. Wifi control: to realize real-time transmission for live video by pairing the mobile app to the drone wifi. One-key taking off/landing: makes the operation more convenient. With one key automatic return function: the plane can find the way home easily. 0.3MP wide angle camera: can capture and record every beautiful and unforgettable moment. Altitude hold: provide convenient operation and stable flight, specially for beginners. Headless mode: completely solving pilot loss-of-orientation problems.